In recent years, some retailers seeking to drum up short-term buzz and excitement have turned to so-called pop-up stores - temporary retail outlets meant to bring products to areas where they might not be sold otherwise. Target has tried them in Manhattan, where it currently has no permanent locations, and they're also common for Halloween stores. Now some local retailers are giving the concept a whirl, too. It's arguably become easier to do this year, with more vacant space available because of the recession. Charlotte Center City Partners, for instance, turned the former Grand Central deli and nightclub space at 101 N. Tryon St. (next to Starbucks) into a holiday market called Twelve. Named for the total number of days it will run, the market launched earlier this month and will wrap up Saturday, operating from 10 a.m. to 5 p.m. today and from 10 a.m. to 3 p.m. Saturday. It's offering mostly locally produced crafts, foods and other seasonally appropriate items, including a wreath bar, chocolates, jewelry, arts, cookies, honey, shirts, dinnerware, stationery, soaps and candles, with an average of eight vendors there each day. Another seasonal pop-up is the Jewelry Artists of Charlotte boutique in the former Lions Jewelers space at Ballantyne Village, which opened in November and will operate until Dec. 31. The owner of the neighboring I.C. London shop set it up to spotlight local jewelry designers, with an eye toward selling distinctive holiday gifts. Ted Boyd, Center City Partners' program director, learned about pop-up retail when he attended a conference about public markets in New York earlier this fall. He returned to Charlotte inspired to bring the idea here. The holiday market idea came together in about two weeks, he said, with the property managers of the Grand Central space agreeing to make it available at a minimal rate, just to cover upkeep. Boyd then spoke to vendors - several of whom also participate in the market held during the summer at Trade and Tryon - and convinced them to give it a try. Vendors pay $10 a day, and received a 10 percent discount if they paid in advance, Boyd said. After tidying up the former restaurant and bar - and figuring out how to display merchandise in such a setting - the market opened, and vendors are now selling their products at a time when they might not have any other place to sell them otherwise. Twelve is also bringing street-level retail to a stretch that doesn't have much of it otherwise. Traffic has been encouraging, Boyd said, with curious browsers coming even on Saturdays. 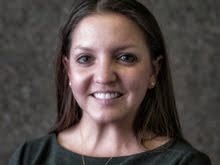 "By limiting ourselves to just operating for 12 days, it allows these local vendors to be able to not have a significant amount of overhead, to be able to test the market," Boyd said. His hope? That Twelve will help spur demand for more shopping downtown - or at the very least, provide a little pop. The good, the grating and the Gap: What's your take on this year's holiday TV ads? Though I say this at the risk of sounding extremely dorky, I've always loved Christmas commercials. I'm sure that's at least partially because of the warm 'n' cozy image of happy family time so many portray – and the fact that the ads herald one of my favorite seasons, and one that sticks around only for a limited time. That said: If I lived to be 100 and never saw another Kay Jewelers commercial, I would be positively exultant. Who knew there were so many different ways to be tooth-rottingly sappy, and with a holiday theme, no less? This year, though, they've definitely got company on the Bad List. The chief offender, at least in my book? 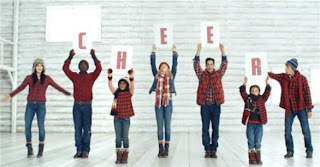 The Gap ads featuring the world’s most annoying cheerleading team and junior cheerleading squad, chanting about plaids and boots to a marching band-inspired soundtrack that makes me wistful for the days when "Hollaback Girl" was still overplayed. And as if seeing it on TV wasn't enough, the retailer has also dispatched an accompanying "cheer squad" and drumline to New York, San Francisco, Los Angeles and Chicago for street performances throughout the season, traveling in a plaid bus. Alas, there's no Charlotte stop. Gap has a history of memorable-in-a-good-way TV commercials (i.e. : the 1990s' "Khakis Swing"), so on one hand it's encouraging to see the company return to the airwaves after several years' absence. And the ads do tend to burrow into your consciousness in a way that gets you thinking about the Gap, at least momentarily – which for many people is something that hasn't happened in a long time. So maybe that’s a plus for the company. But I'm not sure they're going to fill me with the urge to go out and immediately purchase a plaid shirt (as much as I adore plaid, and believe me, I do). Apparently, other people don't necessarily agree: The National Retail Federation today released the results of a survey asking shoppers about their favorite Christmas ads this year, and the Gap came in fourth, behind Wal-Mart, Target and Best Buy. I'm not sure if that speaks to the commercials' effectiveness or simply the fact that people remembered seeing them, but perhaps those areas overlap. The rest of the list, by the way: Macy's (5), Old Navy (6), Kmart (7), Sears (8), Hallmark (9) and Kohl's (10). No word on where Kay Jewelers landed. So, tell me: Any other holiday offenders you’d like to nominate? The biggest obstacle keeping holiday shoppers from buying more online? Shipping charges, according to a recent National Retail Federation survey. It makes sense: Pesky freight fees can become a serious drag on your budget, especially if you don't order early, and they're also a major negative reminder of the difference between shopping online and in person. Understandably, then, the same survey found that free shipping is the most popular online promotion - and retailers are trying to respond. Fifty-seven percent of online retailers plan to offer free shipping without conditions this season, and even more - nearly four out of five - will offer free shipping with some strings attached. With retailers that ordinarily charge for shipping, the promotion can lead to real savings; some others that offer free shipping all the time seem to build it into the price of their items. Shoe and fashion megastore Zappos.com, for instance, offers free shipping and returns, but often prices its merchandise higher than the same items at other stores. Because prices increase as Dec. 25th draws nearer, it's more than just helpful to keep track of shipping deadlines and deals - it can save you money and aggravation. Consumer Reports' Tod "Tightwad" Marks has put together a guide to shipping deadlines for various retailers and delivery methods here, including information about the U.S. Postal Service, UPS and FedEx. He notes that most free shipping offers apply to standard ground shipping, which will get an item to its destination in anywhere from three to 12 days, plus the day or two it takes to process a product and get it out of the warehouse. Dec. 17 is the last day to qualify for Amazon.com's free Super Saver Shipping, while the deadline for the U.S. Postal Service Priority Mail is Dec. 21. Another resource is FreeShipping.org, which compiles and lists free and reduced shipping offers from an array of retailers. The site also will be holding Free Shipping Day on the 17th, a week from today, with the goal of giving shoppers one last chance to order gifts that can be delivered by Christmas Eve. The site hopes to have 500 merchants participating, including plenty of big names. But let's hope they clean up some of the logos currently displayed on a promotional Web site: Defunct electronics retailer Circuit City is among the brands listed. AT&T's Luke Wilson ads: An irritant even an iPhone app can't solve? After deciding last night that I'd seen the AT&T commercials starring Luke Wilson one too many times, I resolved to roll in today and dash off an exasperated post. Does the cell carrier really think that consumers are too stupid to realize that Verizon is criticizing AT&T's 3G network specifically, not its overall coverage, in its "We've Got A Map For That" campaign*? And if not, then why is AT&T airing ads in which Wilson talks about how AT&T covers 97 percent of the country with its regular network - which not only doesn't counter Verizon's claim, but could also be seen as confirming it, in a way? Anyway, about that post: It turns out I didn't need to go ahead and write the rest of it, because several observers at Slate were wondering the same thing, too, as the battle to win smartphone customers continues to rage. To wit, Seth Stevenson's take on the Wilson-starring ads, and Farhad Manjoo's look at the applicability of Verizon's and AT&T's claims in general. For the record, I have to agree with Stevenson: I much preferred Wilson as Richie Tenenbaum, or in "Legally Blonde." *An iPhone-owning conspiracy theorist I know, by the way, suggests that Verizon might in fact be trying to appeal to Apple executives with its campaign, so they'll be willing to ditch AT&T once its iPhone exclusivity agreement expires - something that analysts expect to happen sometime next year. Big boxes: Coming to a quaint Christmas village near you! I’m not sure if this qualifies as art, but it's definitely at least a case of tchotchkes imitating life: After setting up shop and moving in on mom-and-pop merchants across much of the country, at least a couple of major big-box chains are now taking the same approach on a, um, smaller scale. Wal-Mart and the Home Depot, for instance, are selling miniature, ceramic versions of their stores as part of their Christmas village lines, situating themselves amid the quaint homes, churches and Main Street, U.S.A. businesses that generally characterize such offerings. Wal-Mart's little supercenter, which I've spotted in local stores, comes complete with Salvation Army bell-ringers posed in front, while the Home Depot's depicts Christmas trees for sale and festive wreaths on the store doors. And, on its Web site, at least, Sears, which owns Lands’ End, is selling a rustic-looking “Lands’ End Outfitters” and a tool shop selling (of course) Craftsman brand products as part of its Christmas Village array. 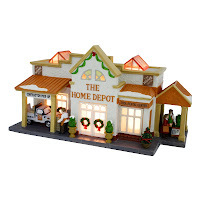 In classic big box fashion, the Home Depot and Wal-Mart Christmas village pieces also appear to be aiming to succeed by undercutting the “competition” on price – they’re cheaper than most other comparably-sized pieces in the collection. So is it a sign of the times? Evidence of the inexorable commercialization of everything? A quirky way to include a store you like in real life in a generally fictionalized, idealized holiday setting? I’m open to the possibilities, not to mention just plain amused. Hi -- and welcome to the newfangled blog we're kicking off with the hope of lighting a path through the holiday shopping season with news, information and random tidbits that fall under the general umbrella of "people trying to sell you stuff." As the Observer’s retail business reporter, I'll do my best to be your guide. I confess I approached the duty with some trepidation: Although I’ve always liked shopping and, as you can imagine, writing, I make no claim to being an all-knowing wizard on the subject. Nor am I what you’d call an obsessive shopper – in part because I’m trying to make ends meet on a budget and need to be mindful. But in this economy, especially, I know I’m hardly alone in that. Like you, I’m committed to being an educated, savvy consumer and getting the best value for my money in the face of plenty of temptation. I’m a lifelong coupon fan. And if I can track down some seriously cool merchandise while I’m at it, well, all the better. Of course, this is a two-way street, and I’d very much like to hear your thoughts about stores, shopping and marketing. So don’t hesitate to comment, or e-mail me directly. Without further ado, jump in our digital sleigh and let’s hit the trail – or should I say mall? – together. I’m looking forward to conversing more here in the coming days and weeks. Note: It’s true, I’ve blogged for the Observer before, albeit on a completely unrelated subject that is also an Important Cultural Force.